As an ode to Mother's Day, I wanted to blog about the best mothers I know. 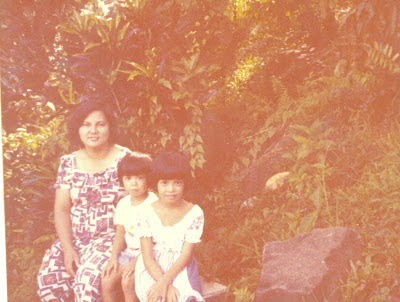 And so, here's a trip back to memory lane...with pictures of my dearest Nanay and my Lola Maring and Lola Gavina. This one is a picture taken in Sampaloc, Quezon, my parents' hometown. If I remember it right, this place was in their old elementary school. Lastly, a rare picture of my two lolas holding hands and smiling together. 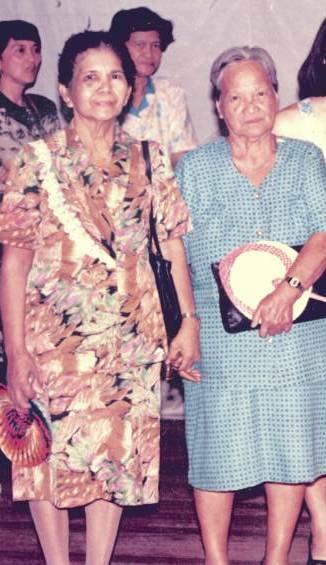 Lola Maring (left) is my Tatay's mother while Lola Gavina (right) is my Nanay's mother. Lola Maring passed away when I was about to graduate from college while Lola Gavina passed away when I was already working. I actually got to introduce my then-boyfriend, now-husband to her and her comment was - he's "pogi". Hahahaha! 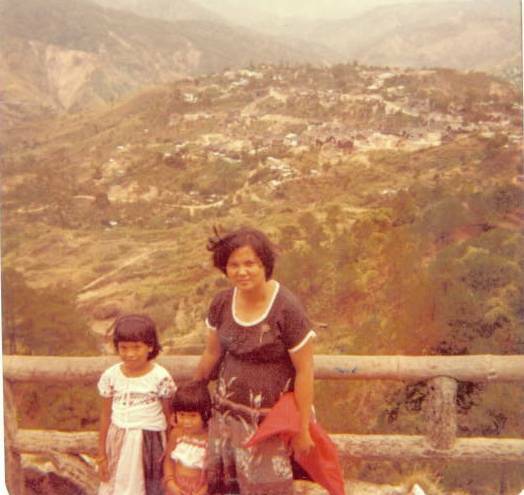 I know that all three of them: my Nanay and 2 Lola's are enjoying the company of God, his saints and angels. That is the place they all had longed to be when they were still on earth and I'm sure God had generously prepared a place for them in his House. Anyway, just want to say from earth to Heaven - thank you so much for the bringing me up in this world and taking care of me. I know you are watching over me day in and day out. I love you all and miss you sorely.